The Cleveland man who was said to have helped Amanda Berry and 3 others escape from captivity, now has a burger deal. 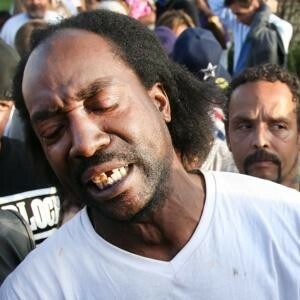 Well sorta…..
Charles Ramsey has been promised free burgers for life at more than a dozen Cleveland-area restaurants. A single-edition “Chuck Card,” good for life, is being stamped in Ramsey’s honor. Anytime that Ramsey takes the card into one of the participating restaurants, he’ll get a free burger. “I’m sure some places will give him more — maybe add fries and a soft drink — but that will be up to them,” Kuhn says.